Whether you're planning an event for the first time or have been planning them for years, there are a few important aspects that you must consider to pull off a successful event. From finding and booking the ideal location to accessing technological amenities, hosting any size event is difficult. To assist you in developing a successful event that both you and your guests will benefit from, consider the following 3 important tips. Avoid Basing Your Decision on Location Alone Instead of opting for the closest exhibition building near your business, consider other more important factors first. Start by analysing if the event location checks off all your wants and needs. Meeting rooms in Edinburgh come in various sizes and with plenty of features for you to maximize. It's up to you to figure out what amenities you'll need to make the most of your event. Include those in your final decision for the best results. Technology Even the best conference venues in London vary in their technology packages. When making your decision for an event space figure out if loud speakers and complex PA systems will be needed. If so, be sure and verify that those technologies are available for the day and time you need. Accommodations Finding the ideal conference centre also involves selecting accommodation venues within driving distance from your event. Even the Cotswold conference centre can be out of place if your delegates are coming long distances to be at your event. The reality is, you need to consider if there are close hotels or accommodations near your event location to keep your delegates happy. Fortunately, we help our clients do precisely that. 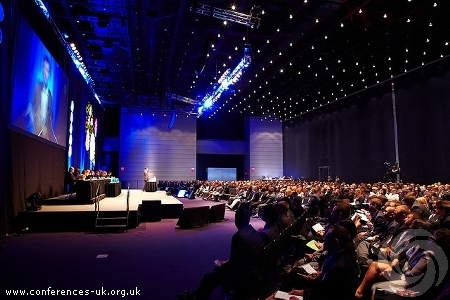 When you use Conferences UK, we think of your needs first. We understand that pricing is important, but also realize that you can't hold a successful event without a location that suits your demands. We strive to meet both your concerns with powerful tools and a friendly staff who can answer your questions. Reach out today for more information.